We’ve all seen the ads for the Giant Super Beer Inventories at the Mega-Super-sized Liquor Stores. It is impressive, no doubt! But, it can also be a bit overwhelming and, for the most part, an impersonal and confusing experience. Row upon row, aisle after aisle. So many beers, so small a liver! Now there are some occasions when it’s actually fun to drive the twenty or thirty miles, grab a basket at the entrance to the Super Mega Beer store and peruse the endless array of beers. Hmmm, I’ll take one of those and one of these, and two of that, and oh, wait I need to try that one, and so on, until your forearm begins to cramp and you go for one of the over-sized shopping carts found in every one of these stores. Thirty beers later and you realize you haven’t made the slightest dent in their inventory, but have made a giant impact upon your wallet. So you trudge your way through the smoky haze to the checkout counter and patiently wait in line. (BTW- how is it possible that all of these mega-stores have cigarette smoke pluming down the aisle from the warehouse? Is it mandatory for someone to be smoking at all times?). Finally, at the checkout counter, the clerk who looks as though she just escaped from a maximum security institution, only not as personable-looking, begins scanning your selections, but only half are readable by the barcode scanner. She glares at you as does the line of customers piling up behind you. She sends Scruffy, the store nitwit to go find a price for your Dominus Vobiscum Brut. “Huh?” grunts the clerk. “Says here it’s made in Canada. Why don’tcha just buy a case of Molson instead?” And on and on it goes until all your selections have been tallied and your pockets emptied. Finally, safe at home, bottles sorted and cellared, the anticipation mounts as you plan to pair your new found Les Frères De La Bière / Thiriez XXtra (Saison) with some fresh picked mussels. Hmmm, even better, steam the mussels in the beer with a little garlic, butter and shallots! Oh Boy! Finally, you pop the cork and…who farted? You look around. You’re alone in the room. You sniff the mussels. Fine. You sniff the beer. Not so fine. You check the date on the bottle. The date has faded off. It has probably sat on a shelf since the Carter Administration. So sad. Enter the small local beer packie. Two to three beer aisles, tops! Logically laid out displays. Varied enough assortments and most importantly a knowledgeable person to ask questions of or to provide recommendations to. One such place, A Taste for Wine and Spirits in Cohasset, MA embodies the best attributes of the Small Local Beer Packie. Proprietor Manager Bruce Sinclaire greets you by name with a genuine smile as you enter. You drop off your empties in the back room. It doesn’t matter whether or not you purchased those beers at his place. He accepts them and gives you credit for having cleaned and counted them. None of those highly inefficient bottle and can return machines that we find crunching away in the Mega-Super Store, which fail to read the barcodes most of the time (even if you purchased them in that very store). Oh boy, 15 cents back on my 35 returns! Bruce is a wine guy (try not to hold that against him). He’s the sommelier of the store, but he’s a very willing, fast-learning student of beer. Like every small packie with a deep and abiding respect for beer, A Taste for Wine and Spirits employs a go to beer expert, Mark McGuinness in this case, to make sure there are plenty of great beers on the shelves, displayed in an attractive and easy to navigate manner. Bruce has a cleaver gradient color scheme painted on the walls leading customers naturally to their wine preferences. Whites to the left, reds to the right. Lightest, to darkest. Simple, yet refined! Then, right down the middle…Beer! What the small beer store lacks in the quantity of beer, they make up in the quality of their selections. Part of that quality control requires the rotation of stock, making sure the customer is satisfied after they leave the store. Friendly, caring service, good fresh beer, convenient…What a novel approach! Let’s take a visit to a Small Local Packie, south of Boston in the town of Hingham, MA. Ralph’s Derby Street Liquors located within the upscale Derby Street Shoppes (the spelling, “Shoppe” alerts you to the fact it’s boutiqueish) fits all the criteria of a great Small Local Packie. Owner, Sommelier Ralph Hersom has traversed the wine world in impressive fashion from San Francisco and Napa, to owning an upscale sister store in New York. He brings his experience, for not only wine, but also for high-end liquors such as single malt scotch, bourbons, rums and tequilas. Knowing a good thing when he sees it, he has Beer “Guru”, Ryan O’Malley managing the smallish, yet excellent beer selections. Both Ralph and Ryan share in their customer’s enthusiasm for fine adult beverages. It’s always a pleasurable experience walking through the doors into a well thought out and well-laid out store. It sets the tone for a pleasant purchasing experience. Friday evenings are reserved for beer tastings, and Ryan helps guide you through the samplings in a knowledgeable and friendly way. Lighter, milder beer first and on up through the bigger, full-flavored brews. Ryan knows beer and he knows his store’s demographic. Many of the high-end beers from Belgium, UK, West Coast, East Coast and New England areas are right here. What a treat! There are also enough fine local selections to keep my interest and budget in order. 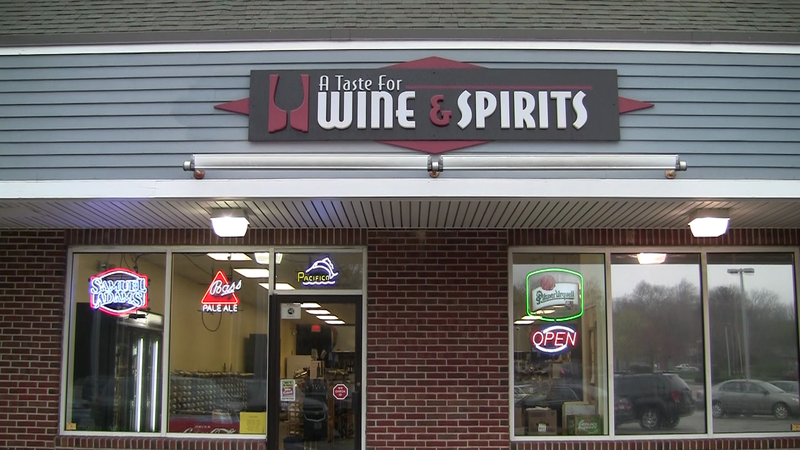 Visit A Taste for Wine and Spirits at 380 Chief Justice Cushing Highway (Route 3A) in Cohasset or call 781-383-0059. Beer and/or wine tastings are offered on Friday evenings. Nice food pairing samples and advice are offered as well. If you enjoy pleasant, stress-free beer shopping experiences, you need to continue to support your local packie. Please let our readers know about your favorite(s) Small Beer-respecting Packie. Spread the good word!